4 months have passed since I arrived in Canada and I’m checking back for a midterm review of how things are going in on Vancouver Island! 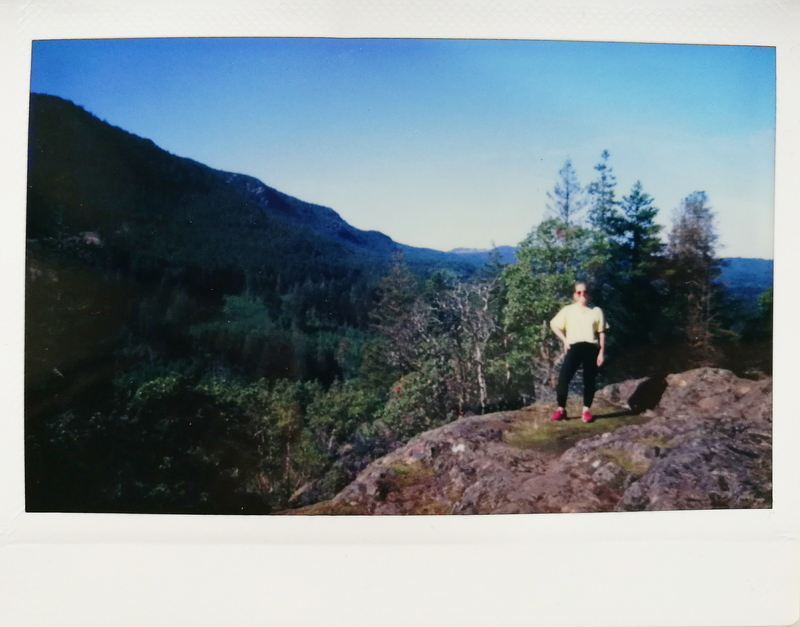 This is Michelle Liesch at Vancouver Island university in Nanaimo. After getting settled down here in Nanaimo it took a while for me to get used to the transportation system considering that in Germany, I live in Hamburg where subways make getting around a breeze. Public transportation in Nanaimo is predominantly buses and the bus schedule is tight. Many locals use their car to get around the island. For students who can’t afford a car, public transportation works pretty well but this can be annoying when you want to go out to the bar and the last bus comes at 10pm. Unfortunately, Uber is not yet active on the island but alternative platforms such as Poparide offer a ride-sharing platform similar to the German format Blablacar. Hitchhiker are also frequently seen on island highways and many locals have confirmed that hitchhiking is a viable option for getting around Vancouver Island. As for the campus, VIU is assembled of a campus that stretches over 84 400 m2 and four main levels, so many stairs are involved in the day to day on campus. In the first months, I found it hard to find the right buildings and classrooms because of the size and complexity of the campus infrastructure. It is particularly confusing that both buildings and classrooms have a 3-digit number, so you might have a class in building 275 in room 205. For this it is always handy to have your schedule on hand to check again. The educational part at VIU is the more important and interesting part of the semester abroad. The teaching style is very different and yet effective compared to the one that I am used to at Macromedia. Here, professors put a lot more importance on group work as a part of small assignments over the course of the semester. As a student at VIU you will have weekly assignments or group meetings for projects. In the design area, there is also a lot hands on work during classes, which means that for some courses you will spend the entire semester on a project with having weekly milestones, meetings or presentations and in the end a fully developed product. For other classes, you might have projects that will only last for about 4 weeks, which results in a much faster design workflow and very different kind of work. I’m taking Media and Communication design at Macromedia so my insights about the workload at VIU from other departments than the design department are not first hand. Overall the workload at VIU is a little bit overwhelming at first but once I got used to it and adapted to it was okay. I definitely enjoy the design classes that I visit due to the fact that I learn a new way of approaching design tasks and exploring themes by working in both teams and as an individual designer. Nanaimo has a lot more to show than just the Vancouver Island university. The city of Nanaimo is filled with a multicultural mix of people and has a vast nature to surround itself with. The heart of Nanaimo is definitely downtown and the close harbor front, where you can watch the ferries arrive and depart. 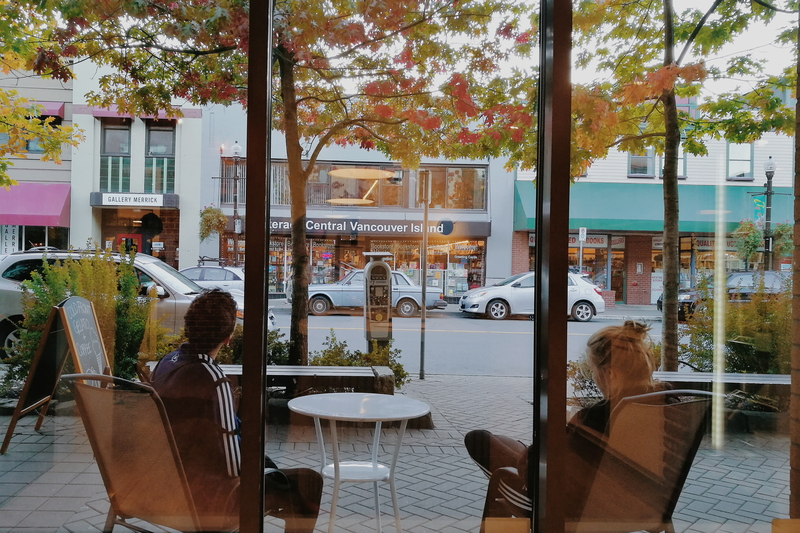 Downtown Nanaimo has a variety of shops including an old record store, a hip thrift store, a homemade ice cream store and a few coffee houses. The locals describe the island life as the “slower life” compared to the busy city life on the mainland and for many of them this seems to be the selling point on living on the island. If you expect the big city life Nanaimo might not be what you are looking for, although it offers a variety of shops that can’t be compared with what Vancouver has to offer in terms of shopping. In Nanaimo and on Vancouver Island in general it is more about the atmosphere that you feel when you walk through the streets, be it in Nanaimo or the picturesque Victoria, about 100 kilometres down south of the island. 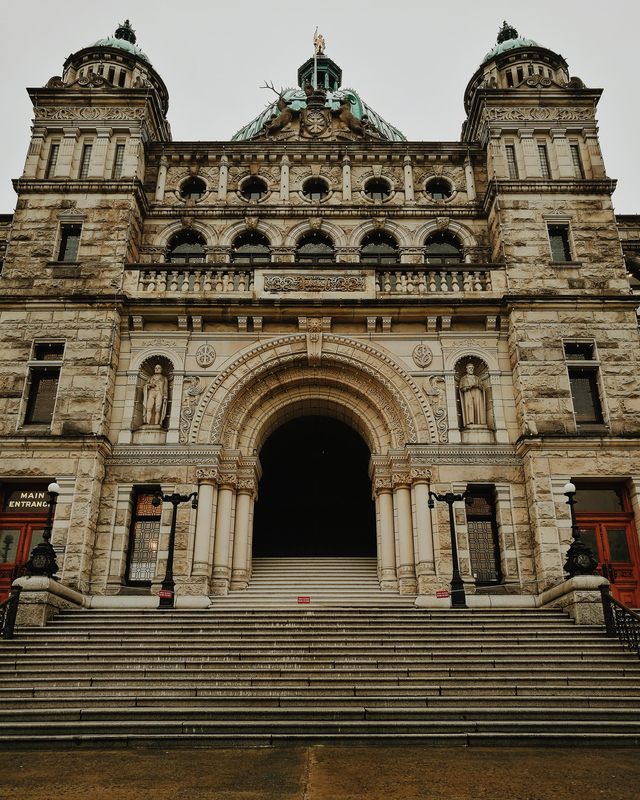 As the capital of British Columbia and one of the oldest cities on the west coast and home to the parliament of BC., Victoria is definitely a place to visit when you are on Vancouver Island. 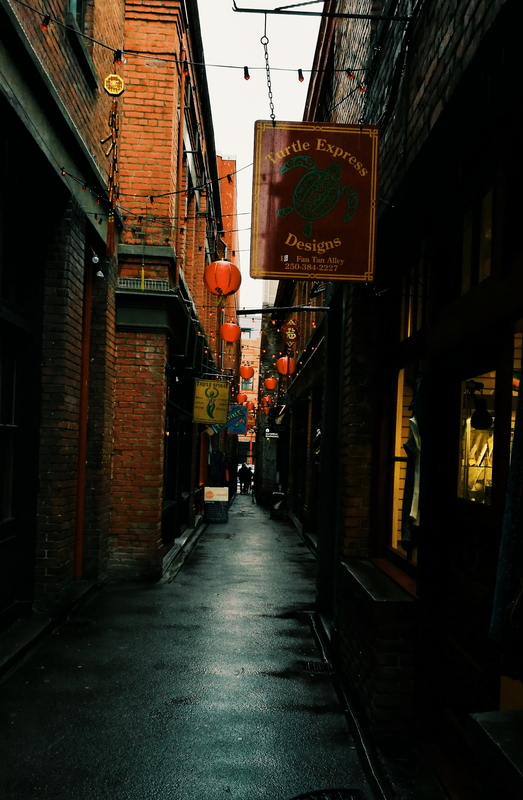 In Victoria, you can simply stroll through the streets all day long and from time to time you will discover small alleys leading into a new street or into a backyard full of small shops. The Chinatown in Vitoria has an incredible atmosphere and you feel as if you are diving into another world full of new smells and colourful lanterns. Generally speaking Vancouver Island offers a lot to those who seek nature and the wildlife, offering an enormous amount of forest land and a vast variety of activities and day trips from Nanaimo. This includes hiking, bungee jumping and kayaking, to only name a few. Since the island is relatively small, Nanaimo is only a quick car ride away from a lot of cool places on the island. The furthest you can drive from Nanaimo would be 6 hours to the North of the island where you’ll find small towns consisted of only a gas station a B&B and a restaurant. Other students that have gone, told me that the north end of the island is particularly well suited for stargazing due to the dark sky there. And here a few pictures of the island life! View on the Nanaimo harborfront from protection island. Me after a hike at westwood lake. In the background you can see Mt. Benson, the highest Mountain in Nanaimo. The Parliament of British Columbia in Victoria from 1893. Strolling through Chinatown in Victoria, BC. A nice view from within the ice cream parlour on the main street in downtown Nanaimo. And now something for all the ones that want to come to Nanaimo! Housing: Try to find roommates over VIU Facebook page or the VIU student app. Other students have told me that you can rent out a room for a semester in a local hostel for about 500 CAD a month. Also, you can try to contact Airbnb owners directly and telling them that you are wanting to rent for a long-term period and they might give you a discount on the rent. In my case I was able to convince the owner to create a private contract outside of the Airbnb platform allowing us to lower the price a bit. Transportation: The price of a student bus pass for one semester is $170 CAD which is the equivalent to about 115 € at the current exchange rate. (November 2018) The bus pass will serve you fine when it comes to getting to school and back or getting to downtown, but public transport on Vancouver Island is limited and not very great. In Nanaimo, there are a bunch of shops that sell either used scooters or used cars for a way cheaper price than the cost for renting a car. The price for insurance on a car is not too bad either, just about $2000 CAD for 6 months of an insurance period. So, if you are a group of people that live together and want to do road trips you should consider just buying a car. You will definitely find people to share the ride with due to the lack of cars in the student community. School supplies: At the beginning of the semester you will get a list of required school material. These books can get pretty expensive with single prices ranging up to $200 CAD. Therefore, it is advised that you check out the second-hand sale in the student union building, where you can find books for a much more considerable price. Also, if you’re the required books are sold out for the time period at the beginning if the semester, try again after a couple of weeks since some people might still drop classes and resell their books. Sometimes when you check back with your professor he or she might tell you that you won’t need the book until the midterms anyways. 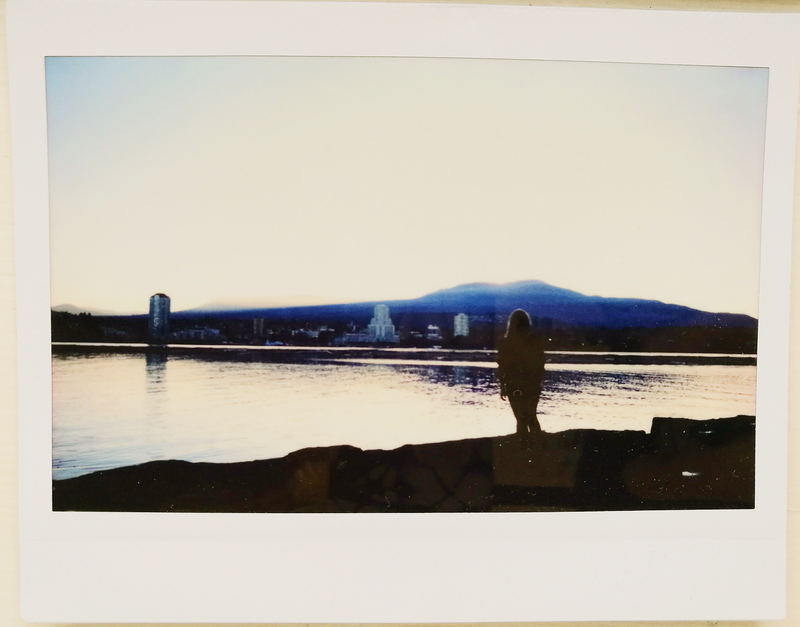 This is it from me, if you have questions about Nanaimo or you want to hear more about my experiences from my semester abroad in Nanaimo, leave me a comment down in the comment section and I’ll get back to you!